Primers, Primers, We Got Primers…. Got the “can’t find primer blues”? Well cheer up. Supplies of pistol and rifle primers are starting to arrive at vendors around the country. We checked with six leading shooting supplies vendors, and all had some primers in stock. 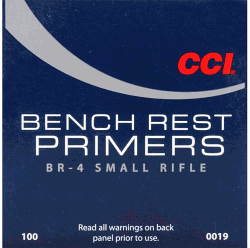 Many of the harder-to-find varieties, such as CCI BR4s (small rifle benchrest) and CCI 450s (small rifle magnum) are now available again. In the chart below are the primer inventories we found today, November 12, at 11:00 am west coast time. 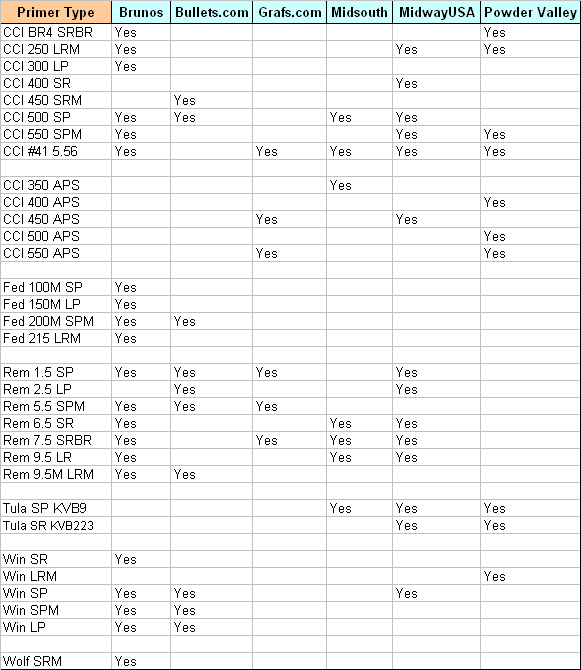 Note, inventories are subject to change. In some cases, the primers were “low stock” items, which means they won’t last long. Word to the Wise: If more than one vendor has the primers you need, we suggest you comparison shop. We’ve seen prices vary by as much as $15.00 per thousand for the same item — so you definitely need to compare pricing before you place an order. Happy primer hunting boys and girls! Share the post "Primers, Primers, We Got Primers…."